Valentine's Day 2019: In the video, Congress president Rahul Gandhi is seen on a stage in Gujarat's Valsad, around 360 km from Gandhinagar, when a group of women suddenly appears with garlands and flowers. He stands up to greet them when one woman drags down his head and kisses him on the cheek. 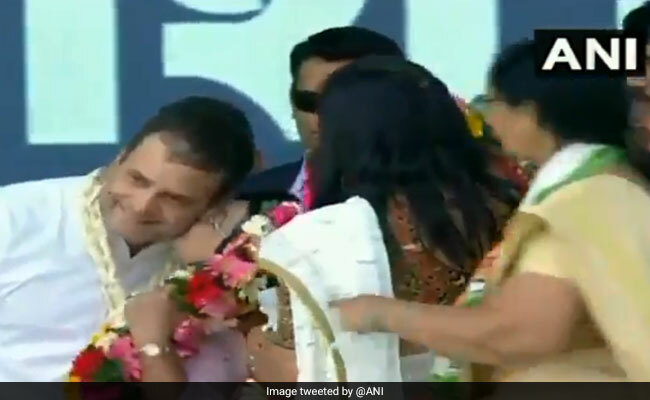 Rahul Gandhi was caught off-guard as a woman planted a kiss on his cheek at a public rally in Gujarat. 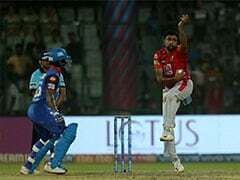 The video has been widely shared on social media, which has been particularly active on Valentine's Day. In the video, the Congress president is seen on a stage in Gujarat's Valsad, around 360 km from Gandhinagar, when a group of women suddenly appears with garlands and flowers. He stands up to greet them when one woman drags down his head and kisses him on the cheek, leaving Rahul Gandhi blushing. The other women surround him and proceed to give him flowers and bouquets. The same woman is later seen holding him by his chin, as she would a child. The Congress chief rewards her with a grin that falters only slightly under the attention. Many hilariously linked the video to Valentine's Day. This is Rahul Gandhi's first visit to Prime Minister Narendra Modi's home state since the 2017 election, in which the Congress put up a strong challenge against the ruling BJP. Though the BJP retained power by winning 99 seats in the 182-member assembly, the Congress upped its tally from 61 to 80. He launched his campaign from an area called Laldungri. It is a Congress belief that whenever the party has launched its national election campaign there, it has won. In 1980, Rahul Gandhi's grandmother and former prime minister Indira Gandhi had begun her campaign there. In 1984, Mr Gandhi's father Rajiv Gandhi went there are in 2004, Sonia Gandhi launched her party's campaign there.